Add an extra touch of sparkle to any occasion with our varied selection of sequins. 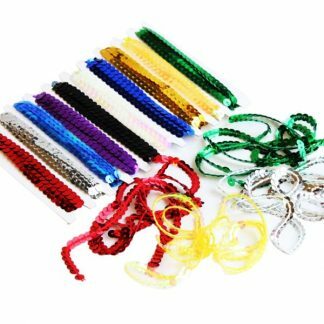 They’re perfect for any seasonal activity – sew, glue or embroider your way to a really creative masterpiece! Our sequins are ideal for adding an extra ‘wow’ factor to any party, festive occasion or present. 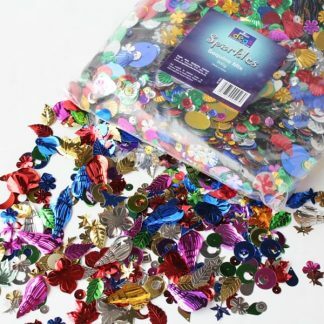 Decorate your tables with a range of classic sequin shapes, including stars, flowers, hearts, circles, ovals, shells and leaves, all in a range of bright assorted colours, to make something ordinary that little bit more special! 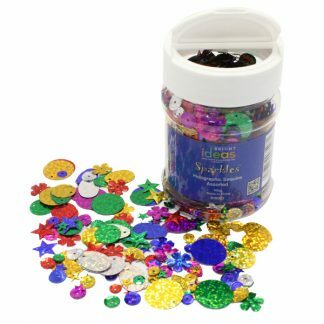 As well as being perfect for party table decorations, these sequins are suitable for all your arts and crafts needs. 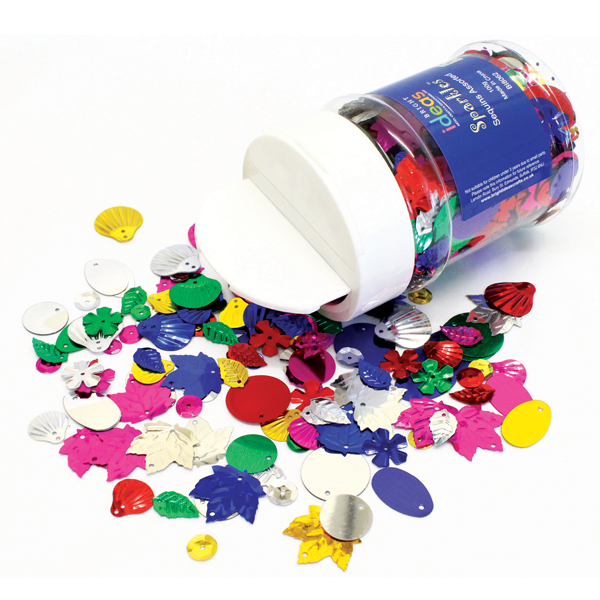 They’re perfect for tacking onto greetings cards, enhancing scrapbooks and for embellishing Christmas decorations. Personalise with the simple little things that are designed with a little sparkle in mind! 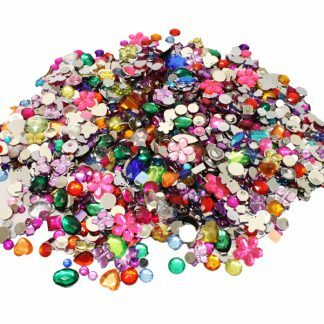 Assorted sequins can be used at home or school to make and create many exciting ideas even more special – you are limited by your imagination only! All of our products are supplied in retail-ready packaging which contains barcodes and don’t forget, the more you buy, the more you save!